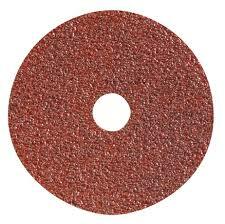 Features: abrasives on vulcanized fibers, general purpose for steel and metal. High efficiency for steel and stainless steel. Business sectors that use fiber discs: carpentry, welding, foundry, railway industry, pipes, shipyards, offshore works, sheet metal work.